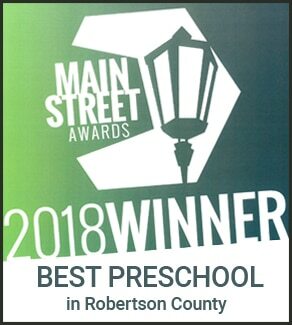 The Summit Preparatory Academy is so proud to announce that we’ve been selected as the Best Preschool/Daycare in the 2018 Main Street Awards! 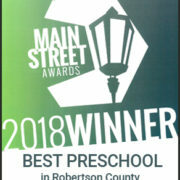 This is the third time in a row that you’ve picked us as the best school (and the third time our Director, Elizabeth Crain, has won Best Headmaster/Principal), and we are simply too overcome with thanks and love to know just what to say. As you all know, this has been an extraordinary year for The Summit. Not only have we been expanding our academic programs and community outreach, but we recently opened up a new off-campus infant center to better serve our families. The new center is there to teach AND snuggles infants between 6 weeks and 12 months old, and it has been a roaring success. Between your support and love, and the passion and leadership of Ms. Crain, The Summit has really blossomed. What started out as a small daycare has grown into an immersive early learning center, teaching kids from all over Robertson and Sumner Counties. We’ve been able to grow alongside our students – and we know we have all of you to thank for that. 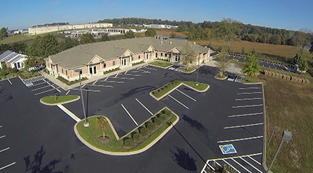 Your support has been a key factor in why we can keep growing. 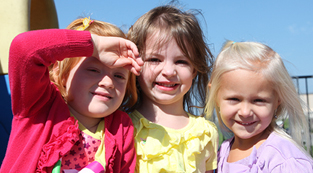 And your little ones are THE key factor in why we love what we do. We promise to keep on working hard for them, so they can get the best possible start in life. Thank you so much to everyone who voted for us again this year. It means the world to us!